Housewife with a Half-Life is a year old and I’m celebrating by giving away two signed paperback copies. Housewife is the lively adventure of mother of twins Susan Strong and travelling spaceman Fairly Dave through other dimensions to find Susan’s other lost selves and save the universe. With a light sprinkling of science, a lot of comedy, domestic appliances that are out to get you and plenty of heart, it’s a fun read for the summer. Here are some of the things that readers have said about the book. To enter, please leave a comment below but if you just want to grab the book. It’s available on Itunes, for Kindle US tiny.cc/r1zqsw for 2.99 UK tiny.cc/a5zqsw for 1.94 and for all formats on Smashwords, on Barnes and Noble. I’ll draw for the paperback on Monday. Enjoy your summer reading! 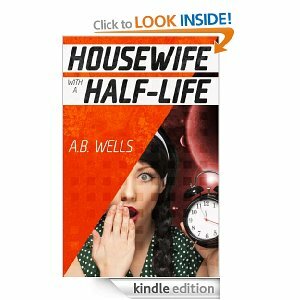 My novel Housewife with a Half-Life is available in a variety of formats for all e-readers over at Smashwords and you can get 50% off with this coupon code: AL24Z. 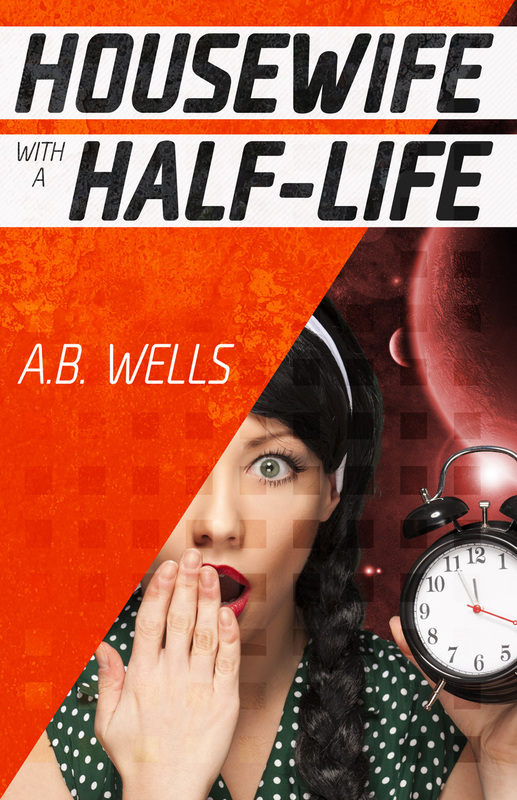 TRY HOUSEWIFE WITH A HALF-LIFE OR GIVE IT AS A GIFT HERE AND DON’T FORGET THE CODE! Original and imaginative… glorious scientific allusions and illusions in a fast-paced and sparkling tale…a nuclear fusion of a novel..Move over H.G., A.B. Wells has written the time-travelling tale for the 21st century! Tania Hershman, author of The White Road and Other Stories. A Housewife’s answer to the Hitchhiker’s Guide to the Galaxy! In this lively space comedy Susan Strong is a suburban housewife who is literally disintegrating. When Fairly Dave, a kilt-sporting spaceman arrives through the shower head to warn her, she knows things are serious. When she and her precocious four year old twins, Pluto and Rufus, get sucked through Chilled Foods into another universe it gets even messier. Where household appliances are alive and dangerous, Geezers have Entropy Hoovers and the Spinner’s Cataclysmic converter could rip reality apart, Susan Strong is all that’s holding the world together. In this madcap, feel-good adventure, Susan and Fairly Dave travel alternate universes to find Susan’s many selves, dodge the Geezers and defeat evil memory bankers. From dystopian landscapes and chicken dinners, to Las Vegas and bubble universes, can Susan Strong reintegrate her bits and will it be enough to save us all? If you like your books in print buy it at The Book Depository or I’ll send you a signed copy. I originally signed up for the Kindle free days to be part of the promotion for the launch of the wonderful Jawbreakers anthology in May. I had only launched Housewife with a Half-Life a few days before so perhaps it wasn’t the best time to give it away for free but being part of a British nationwide launch perhaps gave me a wider audience/exposure that I would not have had otherwise. What are Kindle Free Days good for? Since Housewife was my debut novel as A.B.Wells I was interested to read how Kindle free days had helped some self-publishers gain extra readers and sales subsequent to the promotion. But there seemed to be some caveats. This strategy seemed to have worked best for those who were a) releasing books in the earlier ebook days before the deluge of ebooks and free offerings b) for authors who already had a following from traditional publication or earlier books c) for authors who were trying to promote a series or later books (they would give an earlier one away free. As the end of my Kindle free period approached, I realised that I did not fit any of these criteria. My comedy in the universe was a new departure, both from my literary work as Alison Wells (published in anthologies and known on the blog) and was the first book I had to offer. So what could possibly be gained by using the FREE DAYS. All that work for FREE? Another issue that has been much discussed is the concept of FREE itself. Some self-publishers enjoy the idea of the work being the thing, making it available in a democratic way and being read is the most important thing. FREE is part of the FREEDOM of being Indie. Other self-publishers, while applauding these sentiments are also concerned about whether a constant supply of free books engenders the expectation of never having to pay, particularly for ebooks. While people would be happy to pay €10 euro (about $11 £8) for a paperback, an electronic version may not seem as valuable (and is easier for both the writer and the reader to discount in both senses of the word). I’ve sold about 80 books in real world transactions (in bookshops or direct) and made a reasonable return, especially of course on the direct sales. My initial price of $2.99 dollars and its equivalent allowed me to be on the 70% royalty on many sales for the ebook. Again a reasonable amount. As a first time author without a track record, realistically, breaking even might be a goal, much as the accounts of bestsellers are thrilling and are always hoped for. I had costs, for sure, several hundred pounds/euros for a designer and editor, marketing materials for my real world launch and initial outlays on purchasing 160 books to sell to bookshops and direct. I personally don’t have an outside income (at the moment I’m at home with my four children). We live on my husbands wages. I need to cover costs at least. The book took months to write and a year to edit and bring to publication. All writers know how much work goes into producing something of quality. Again, why give it away for free? So why did you change your mind? Ideally I would have used the free days when the sequel The Meaning of Life is Monday was out. But Kindle free days are to be used within three months. It’s now or never. So what made me change my mind? Running Kindle free days gives me an event around which to talk about my book and blog about things like Kindle free days and to link to my new publications of short collections of short stories (under the name Alison Wells) that will be out in the next few days. While like Nicola Morgan I’m not a fan of tricks and games used to push books, such as constant self-promotion on Twitter, online, befriending just to sell, garnering reviews that aren’t authentic, the free day option is a legitimate tool to try to make your book stand out from the crowd. I believe in Housewife with a Half-Life. I have other books in drawers that I didn’t believe in so much. I engaged and editor and designer and did everything I could to make the book as good as I could. Other people believe in the book. 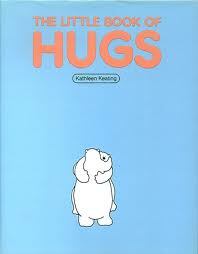 I think it’s a heartwarming and uplifting read and I want to give it the best chance I can. Last time Housewife with a Half-Life was free for one day, was downloaded 500 times but I didn’t see many follow on sales. I don’t know what will happen this time. Maybe I’ll come back and tell you later. But despite my reservations, I hope that Housewife with a Half-Life can benefit from this little boost and that if you read it you’ll enjoy and come back and tell me. As a matter of interest, at the end of my 4 kindle free days I had a total of 3000 downloads and have seen consistent sales since then, not in huge numbers (tens) but beyond what was happening before the free days. While on Kindle free Housewife with a Half-Life went to number 3 in sci-fi free and close to (tantalisingly close to) the top 100 kindle reads in .com and .uk. From talking to other authors I can attribute the continuing extra sales to Housewife with a Half-Life having become visible in the “also bought” lists. So in terms of gaining visibility, the Kindle free days were successful. Let me know what you’ve decided to do with your Kindle free days and how it’s worked out for you or any of your thoughts on the concept of FREE. A last little marketing plug. Note: Housewife with a Half-Life is no longer free but it’s just 99c/77p until the end of August. 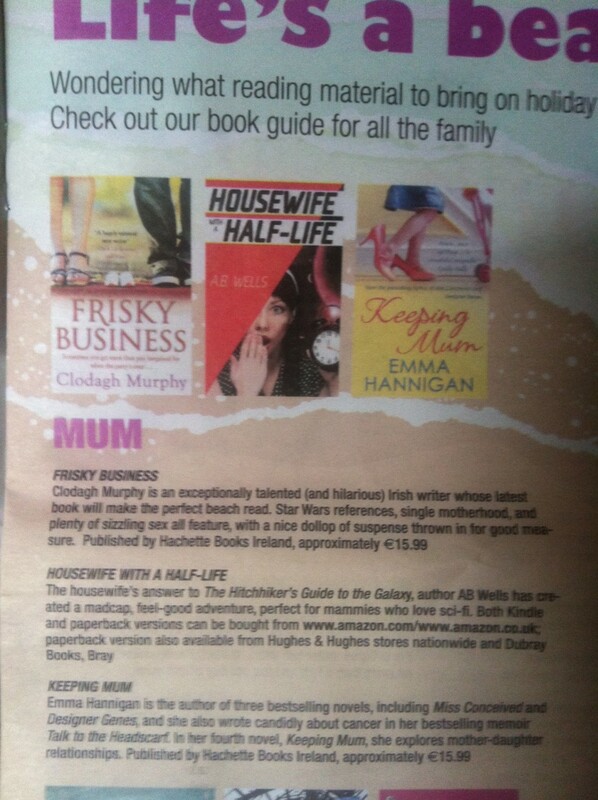 Yesterday the Higgs Boson & today Housewife with a Half-Life gets a mention as a beach read in the Irish Independent. Not bad for a self-published book eh? Is there no end to the excitement? And all while I’m off on a quiet retreat. Take heart self-publishers, all sorts of things are possible! Meanwhile back to my traditional agent seeking literary self. I’m working on The Exhibit of Held Breaths on writing retreat and I think it could be something good. The lovely Colette Caddle and myself. 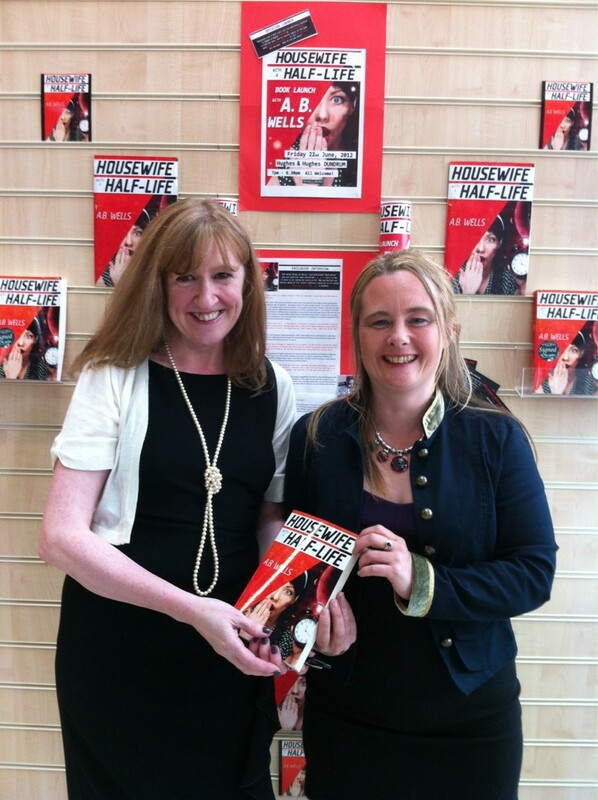 What a fabulous evening we had yesterday (22nd June) at the book launch of Housewife with a Half-Life! With a warm welcome from Don and Chris at Hughes & Hughes, Dundrum, a wonderful turnout, a super speech and reading by lovely author Colette Caddle it was a wonderful occasion. 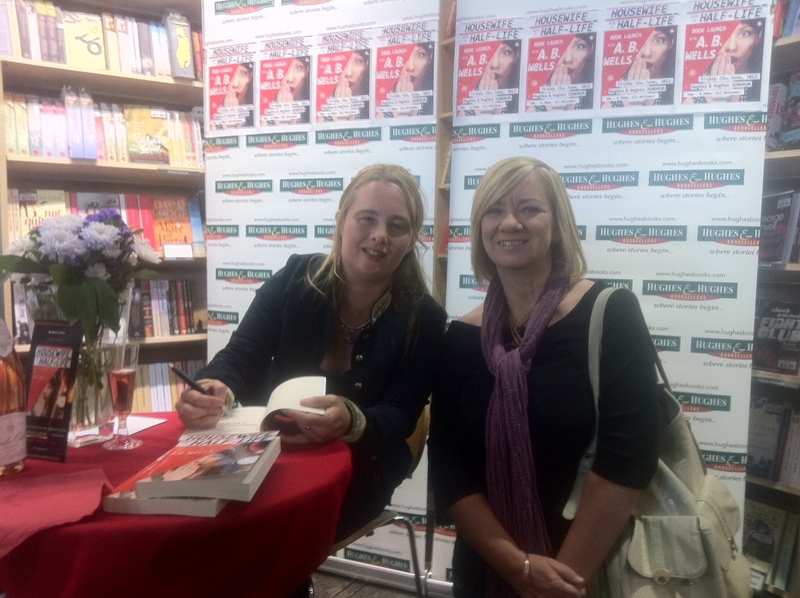 General chit chat and refreshments followed as I took part in my first signing. I’d like to thank all those who came along and those who weren’t able to make it and sent messages of support. 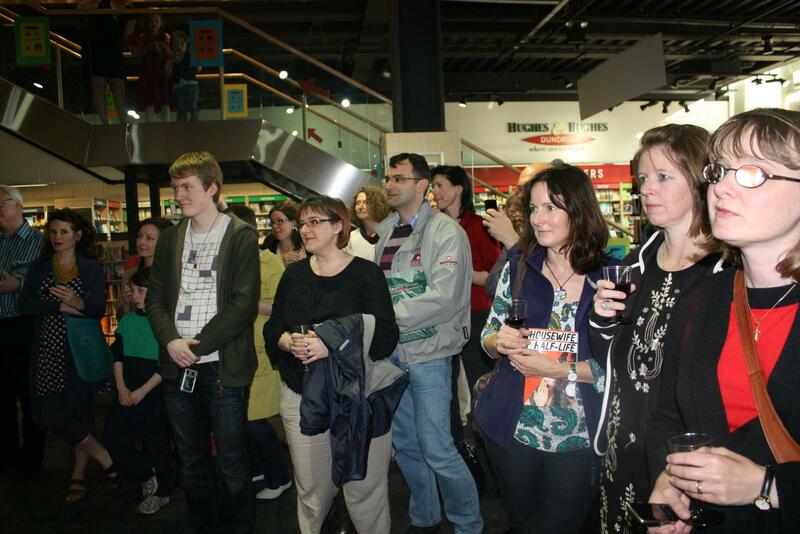 There was a wonderful crowd there and the books were snapped off the shelves. 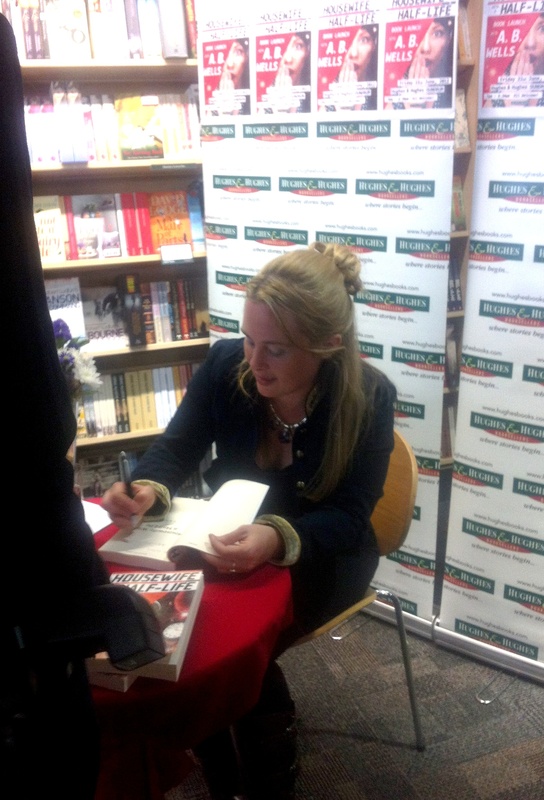 What a wonderful feeling for a writer used to beavering away at home to be recognised as an author. Here are a few more pics of the evening. Hazel K. Larkin and Maria Duffy joined me. who has read, reviewed, tweeted, shared, talked about the book and is helping to spread the word of my A.B. Wells endeavour across the universe! Head above Water indeed! 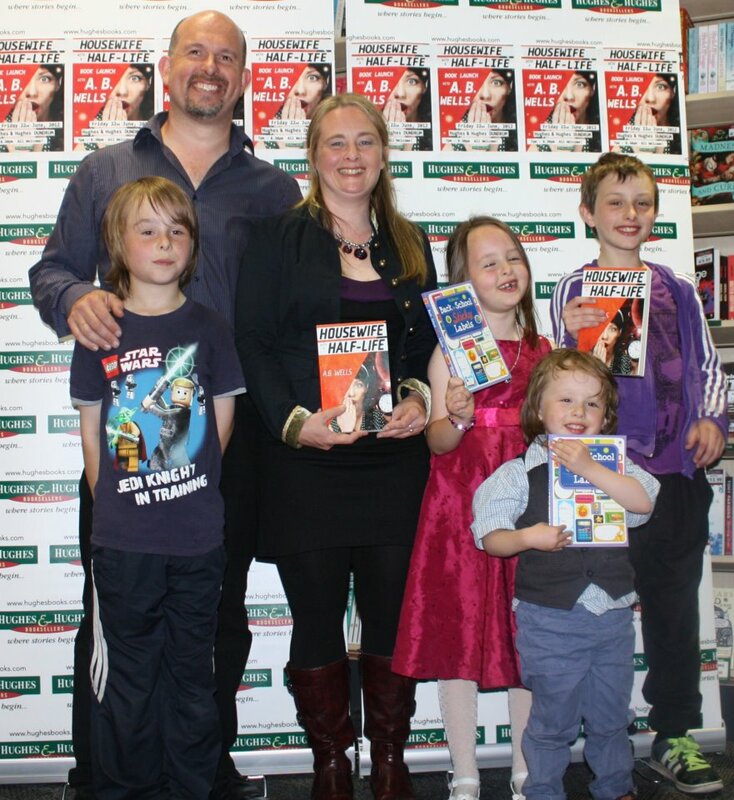 An author, a husband, four children and a self-published debut novel. Hughes & Hughes Launch of Housewife with a Half-Life Fri June 22nd: All welcome! 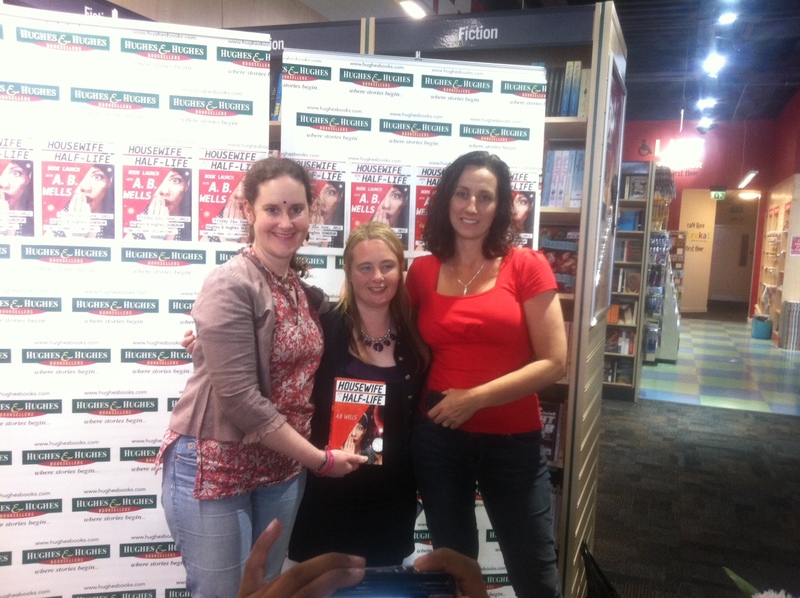 Bookshop launch of Housewife with a Half-Life and Mid-Summer Tweetup! I want to invite you all to the real life bookshop launch, signing & reading of Housewife with a Half-Life taking place in Hughes & Hughes Booksellers, Dundrum, from 7pm onwards on Friday next 22nd June. Housewife with a Half-Life will be launched by the super bestselling author of twelve books, Colette Caddle! There will also be a wine & nibbles reception and I’ll be reading from the book in a felted dress, created by artistic sister Sharon of Feltcreative. As it’s my debut launch as A.B. Wells I’d like to (dun)drum up as much of a crowd as possible so it would great if you could come along, bring a friend, a whole book club even! Everyone is welcome and I’d love to meet online friends for real. I also want to support as much as possible Hughes & Hughes and in particular Chris, Don & Vicky who have been terrific. Here’s their official launch writeup. And here’s the display they’ve put up for me in the shop. If you can come please RSVP to housewifelaunch@gmail.com or comment below. Looking forward to an evening of fun and chat! I am taking part in the Indie Author Giveaway Hop, hosted by I Am A Reader, Not A Writer and Krazy Book Lady. The dates for this hop are June 13th to 19th. Housewife with a Half-Life Kindle Edition. Just say in the comment which of these things you have done. Any comments made before midnight PST on 19 June will count, and a winner will be picked on 20th June. This is an international giveaway. Click here for the rest of the blogs on the hop and enjoy! Who would you like to see in a kilt competition and paperback launch! 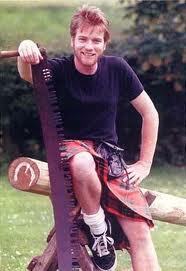 It’s my blog, so let’s have a pic of Euan McGregor in a kilt. 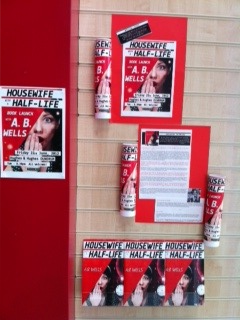 Join me tomorrow Tuesday 12th June for the online paperback launch of Housewife with a Half-Life. Stop by to find out who has won the signed paperback and to enter the other competitions for book and other domestic fun prizes. Thanks so much for your good wishes and support! If you’re on Facebook like A.B. Wells to find out about other comps, posts and giveaways and the real-life 3d launch in Dublin. Housewife with a Half-Life is available on ebook Amazon US and Amazon UK. Who (or what) would you like to see in a kilt competition to win signed book prize. Later we go on to learn that he is extremely tall and that he has luminescent emotions. Parts of his body (ahem!) light up in different colours when he feels, angry, scared, loving or guilty. It seems that Men in kilts are very popular. When googling, I found this interesting and amusing site for window cleaners in kilts. I love their 100% clean guarantee! and their No Peeking! sign. (Giggling women alert). There are many films with Men in Kilts (hopefully Housewife with a Half-Life will be too :-)). Braveheart and Four Weddings and a funeral are some of the most well known. For my part So I Married an Axemurderer with Mike Myers and A Life Less Ordinary (EUAN MCGREGOR!!!) are among my favourites. Win a paperback by commenting here on your fav person in a kilt. So, to be in with a chance of winning a signed paperback of Housewife with a Half-Life, just say in the comments below who you would like to see in a kilt (doesn’t necessarily have to be male) or who’s your favourite movie person in a kilt. Keep the comments funny and clean! The competition is open until midday GMT on June 12th, the day of the paperback launch of Housewife with a Half-Life. I will draw a winner at random and announce soon after. And just to let you know, if you’re on Goodreads, enter the draw for a free copy of Housewife with a Half-Life (ends June 11th). There will be another super competition on the day of the launch when you can win some of the following prizes related to items and episodes in the book! Don’t forget to visit the blog and share the competitions with your friends. Thanks! Fairly Dave has a Temporal Toolbelt with mysterious dimensions! 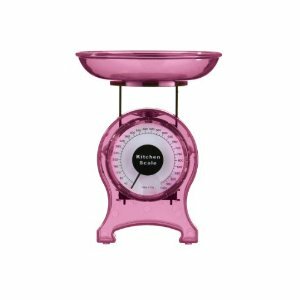 Scales fit for a Housewife with attitude! 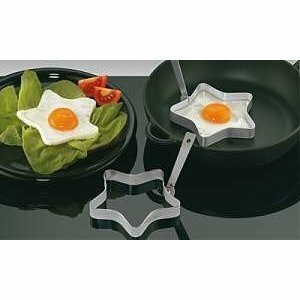 Make eggs in the shape of stars! 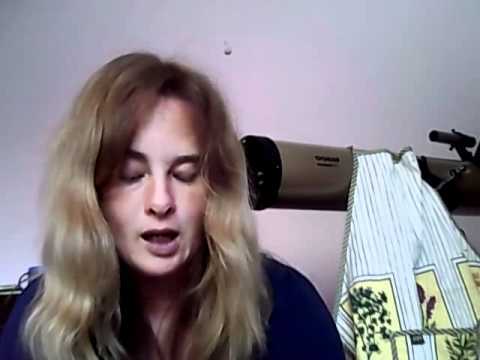 Video readings from Housewife with a Half-Life! I’ve recorded some excerpts from ‘Housewife with a Half-Life’. Can you spot the housewifely item in the background? Ahead of the paperback launch next Tuesday 12 June I’ve recorded some extracts from Housewife with a Half-Life! Susan nodded, she’d always had an inkling and now that he’d put his finger on it, it kind of made sense. The Fairly God Father nodded. ‘Yes I know. Time isn’t moving for YOU,’ he answered. She thought of Nigel, her husband, pale pallor, thin, in his business suit, staring into space. Sometimes she waved a hand in front of his face and he didn’t see it. ‘Gosh,’ she said, aligning the butter knife with the side plate. Susan’s mother was super, super just like Susan. Her name was Geraldine and she had the same coiffeured gentility as her daughter. Her face, for some reason, reminded you of pancakes and honey and her smile was like blueberry pie. Her hair was chestnut brown and her eyes a bright emerald. She was also an eyebrow raiser. And the eyebrow was raised. Susan made the introductions as Pluto and Rufus held one each of their Granny’s hands and swung themselves like fairground boats. ‘This is Fairly Dave,’ Susan said. ‘Therapist,’ said Fairly Dave and Susan thought she could see a flash of orangey purple that was unmistakeably shame. Fairly Dave didn’t like lying. ‘You’re sick? She’s sick?’ she said looking from Susan to Fairly Dave. ‘Well you know, Nigel. It’s hard to pin him down sometimes… How’s Dad?’ Susan asked, changing the subject. ‘That’s good,’ said Susan, serving the soup. As she ate she felt the welcome warmth travel along her gullet. If she could see her insides, would it look like the soup was travelling through the gaps in her body? By putting her faith in Fairly Dave she had prevented herself from thinking about the truth that she was in mortal danger. There were a lot more important things than whether she had shaken the dust of her antimacassars. But she hated to let the housework slide. The more mess and grime there was around her, the more she felt that her mind was descending into chaos. She may have to travel the universe to save herself, but it was important that she made the beds before she left. Sorry I can’t embed the links. Enjoy!